Trainer Chris Smedley has hailed Liam Cameron’s transformation from nearly-man to Commonwealth champion, as the Sheffield fighter prepares to make the first defence of his Middleweight Title on April 27 against Danny Butler. ‘Cannonball’ Cameron and Bristol’s Butler will contest the Commonwealth Championship at the Ice Sheffield Arena, with the action broadcast live on free-to-air channel Freesports TV (Sky channel 424 and via Freeview/Youview on channel 95). Cameron, 20-5 (8), won the Commonwealth crown last October, after two previous failed attempts at super-middleweight, with a blistering eighth round stoppage over fellow ‘Steel City’ man, and previous champion, Sam Sheedy. Southern Area Middleweight Champion Butler enters the contest with a wealth of experience, and just six defeats from 33 outings. The West Country man has previously held the English crown, and also shared a ring with former IBF World Champion Darren Barker and world title challenger Martin Murray. Smedley, who has been with former ABA champion Cameron for much of his career, says his charge has a renewed and invigorated attitude to the game, and is predicting a thrilling fight for the fans, a successful defence for his man, and an eventful 2018. “The difference in Liam now is his diet, and his attitude in training is great,” explained Smedley. “We’ve not long been back from preparing over in Lanzarote. He’s non-stop training, he’s working as hard as he can, and it’s great to train him. Before there was negativity in his training but now it’s all positive, and that’s another massive change for him. “We’re expecting a tough fight. Danny Butler has boxed some very good fighters, and has good experience. We didn’t want an easy fight for Liam, and if he is going to go anywhere in the sport then he has to beat the likes of Butler. So, although it’s a difficult fight for us on paper, we want to see how Liam handles someone like Danny, who is durable. “Danny is decent and his record shows that. He’s Southern Area champ, has been English champion, and he’s been in with some of the best. So, this is a good test, but I’m confident Liam will deal with it. It will be a great fight to watch too; Liam at middleweight will always be in a good fight whoever he’s in with because he’s found his weight and confidence now. 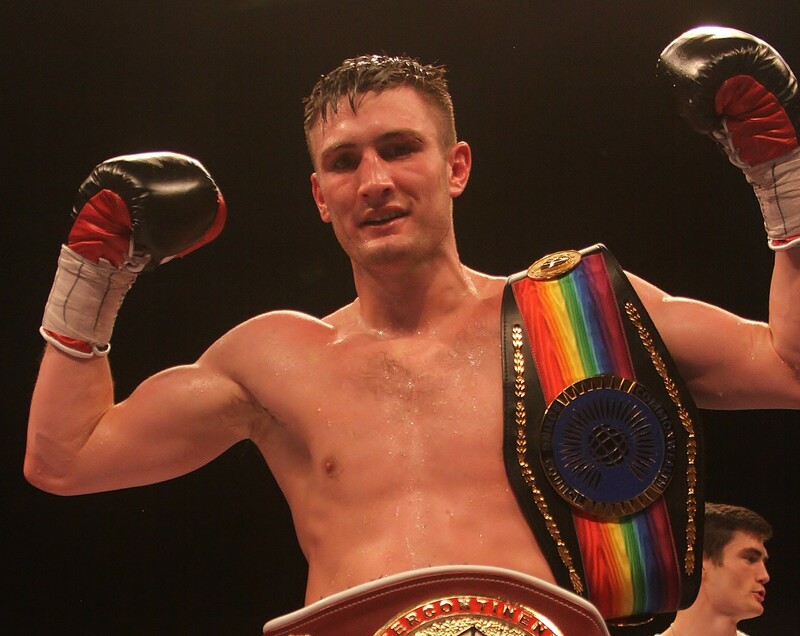 Dennis Hobson Promotions presents Liam Cameron defending his Commonwealth Middleweight Title against Bristol’s Danny Butler at the Ice Sheffield Arena (S9 5DA) on April 27.